TopRankings is Australia's leading, proven and accountable SEO Agency in Melbourne, who have helped hundreds of Australian businesses achieve success on Google, using proven methods since 2007. TopRankings is Digital Rescue’s sister brand that has evolved since 2007 both through its branding, as well as the diversification of its services to Australia’s aspiring small to medium businesses and respected brands. 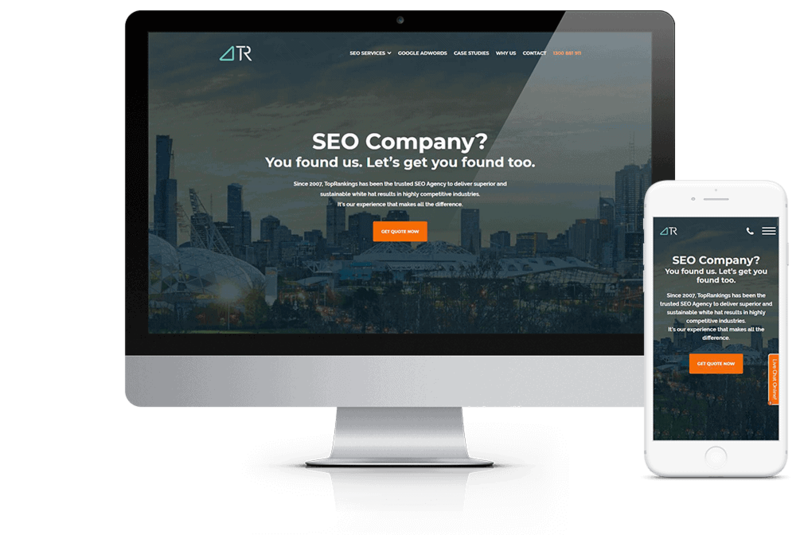 The design and development team worked closely with the SEO team to deliver a highly relevant, boutique, and Melbourne centric identity whilst retaining a strong organic presence.